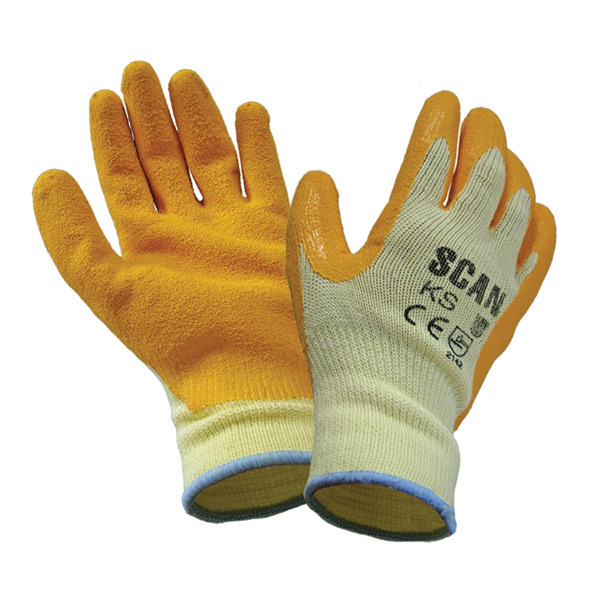 Scan Knit Shell Latex Palm Gloves are an essential garment for the protection of hands and offer maximum user comfort. Ideal for many work situations, they provide protection against minimal cuts and abrasions. The gloves have a durable non-slip latex coating which provides excellent protection and grip. Knitted wrists ensure comfort. Conform to Standard EN240 and EN388. Single pair of Scan Knit Shell Latex Palm Gloves.